Hästens Won Hong Kong High-Flyers Award 2012 ⋆ Chilli Marketing Ltd.
Chilli Marketing was honored to be invited to accompany her client Hästens Hong Kong, the sales and distribution subsidiary of the world’s most luxurious bedding brand, to attend the Hong Kong High-Flyers Award 2012 presentation ceremony. Organized by Hong Kong Business, one of the most authentic business publications in Hong Kong, the award has been issued for 9 years to companies with unmatched performance and ground breaking products. “The winning companies deserve to be awarded for their unfailing commitment to deliver quality products and first rate customer services. 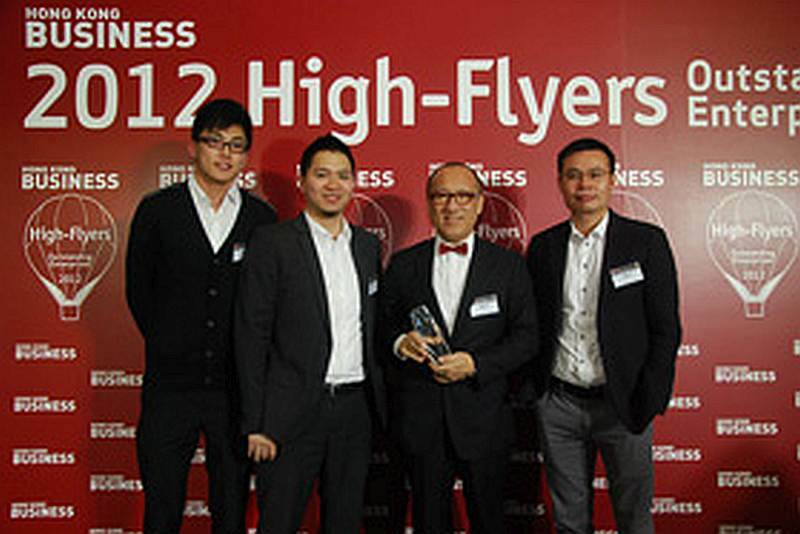 We at Hong Kong Business delight in recognizing their efforts.” said Tim Charlton, Publisher of Hong Kong Business. There were 28 winning companies in 2012 including AIA Pension & Trustee Co. Ltd., CLP Power Hong Kong Limited, Galaxy Macau, HSBC, Hästens Hong Kong, Fujitsu Hong Kong, Shama Management Limited amongst other leading companies from various industries. Being Hästens’ marketing partner in Hong Kong, Chilli Marketing is happy to witness her achievement and would like to thank Hästens Hong Kong and Hästens Sweden again for their continuous patronage.